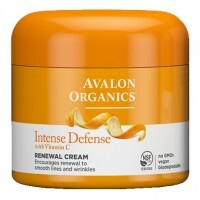 Avalon Organics Intense Defense Eye Cream with Vitamin C is an antioxidant-intensive eye cream smoothes and brightens and provides Photo-Aging Defense. 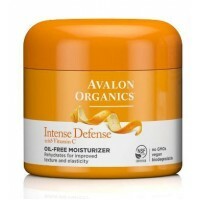 The eye area is always the first to show the signs of aging. 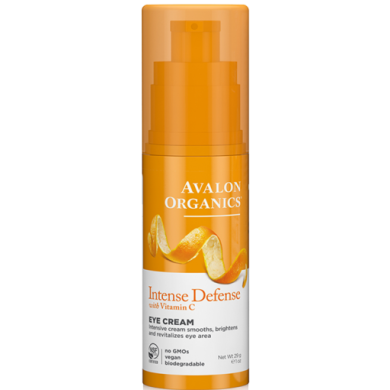 To protect eyes from deep wrinkles and dark shadows, the eye area must be treated daily with a richly moisturizing and rejuvenating solution. 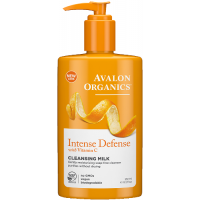 Antioxidant-rich Vitamin C, Lemon Bioflavonoids and White Tea soothe oxidative stress and help fight the visible signs of photo-aging. Eyes appear refreshed and defined. 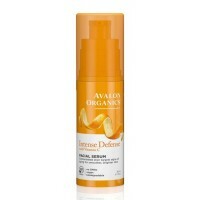 How to use: After cleansing morning and evening, gently smooth cream over the eye area. 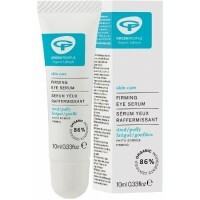 Green People Firming Eye Serum is a firming, cooling eye serum with actives to help combat wrinkles ..